Go beyond a beautiful box of chocolates. When your VIP client or superstar employee opens their box, they'll see a fine chocolate artfully engraved exclusively for them. Give delicious gifts that mention them by name! Leave an outstanding impression that strengthens your connections with your clients, employees, and colleagues. Give one-of-a-kind thank you cards, appreciation notes, and holiday gifts engraved especially for them. Our Team guides you in a simple design process so you can send meaningful gifts that you’re proud to give and they’re certain to enjoy. "Noteworthy Chocolates has the most unique, visual and great tasting way to thank those people who have referred you business. In our experience, it is always received as a special, thoughtful small gift and is very much appreciated by the recipient. A great way to thank others rather than using the standard gift card approach!" 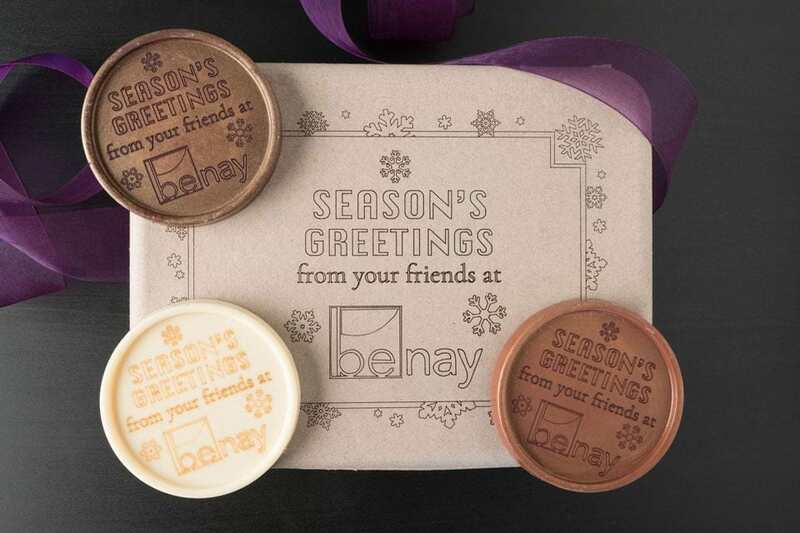 Giving a Box of 3 Personalized Chocolate Medallions is a sweet way to show appreciation for the people who refer business to you or who have done outstanding work. 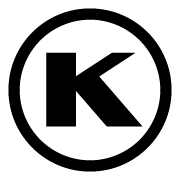 With 50 characters to make it personal and the option to add a logo or custom artwork, you can thank someone by name and give a memorable (and delicious!) gift. Each engraved gift box contains (3) individually wrapped 1.5 oz. chocolate medallions (4.5 oz total). Minimum order of (1) box! Multiple gifts may be personalized with the ease of a spreadsheet. Highlight your brand with custom engraved gift boxes. Available with a minimum order of (3) boxes. Giving a box of chocolates to an office or a team always has the same problem. Once the card or ribbon is gone, no one knows who gave the gift. When each piece of chocolate is beautifully engraved with your logo (or theirs?) and signed by you, there’s no question who they’ll thank for the awesome chocolates! Each custom-engraved gift box includes 20 individually wrapped premium chocolate medallions. Quantities above 20 available for gifting and events, just contact us. "When I have the opportunity to send gifts to friends and clients, I want them to be noticed and remembered. To be Noteworthy. Last year we sent out uniquely detailed holiday medallions to our VIP clients, but with a twist. 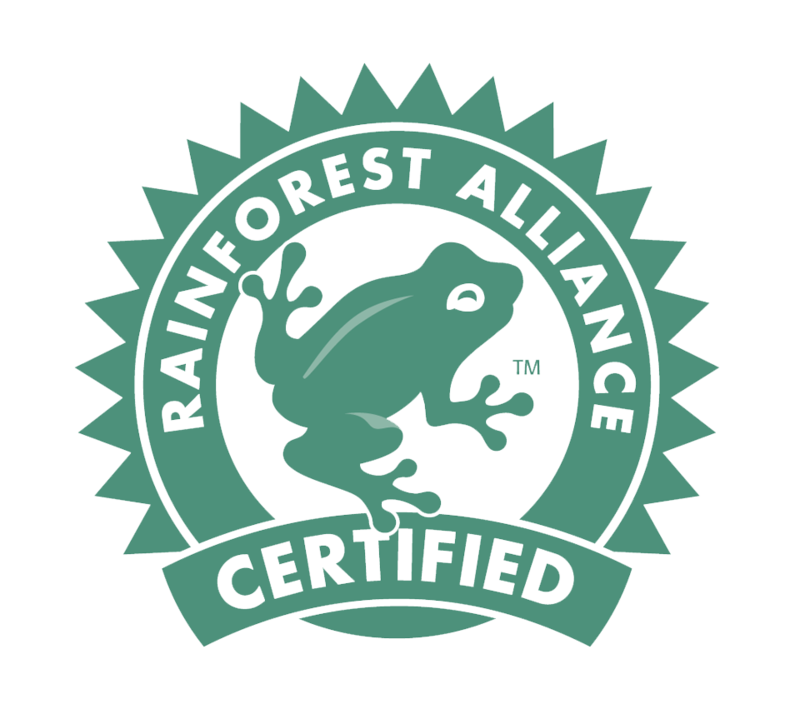 Each client received a fantastic gift box of medallions personalized from us but with their own brands and names on it. Every one of our clients called or emailed to express not only their gratitude at being remembered but to say how wonderful it was to see their own brands reflected in the gift we sent. Now that’s noteworthy, indeed!" 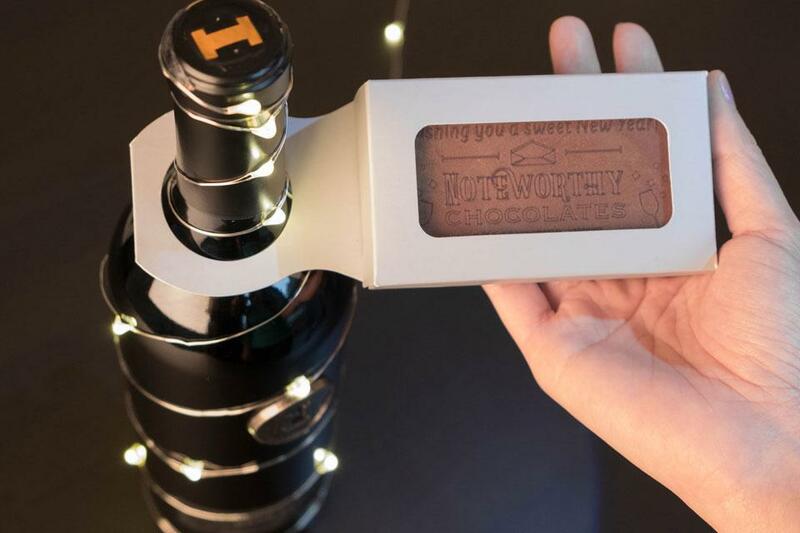 "On the rare occasion when our custom engraved chocolates don’t say enough on their own, we’ll pair them with a bottle of wine to send a personal message that’s even sweeter." Compliment that lonely bottle of wine or spirits with four bars of delicious premium chocolate that put your brand or business at the center of the celebration. It’s a silky, smooth extra special touch that they will remember after the bottle is gone. Each silver gift box hangs on a bottle provided by you and contains (4) 1 oz. custom engraved bars. Minimum order is (4) boxes. There are so many ways to use a box of 20 Impressions. This business card size bar is just the right amount of chocolate to send a mighty message. 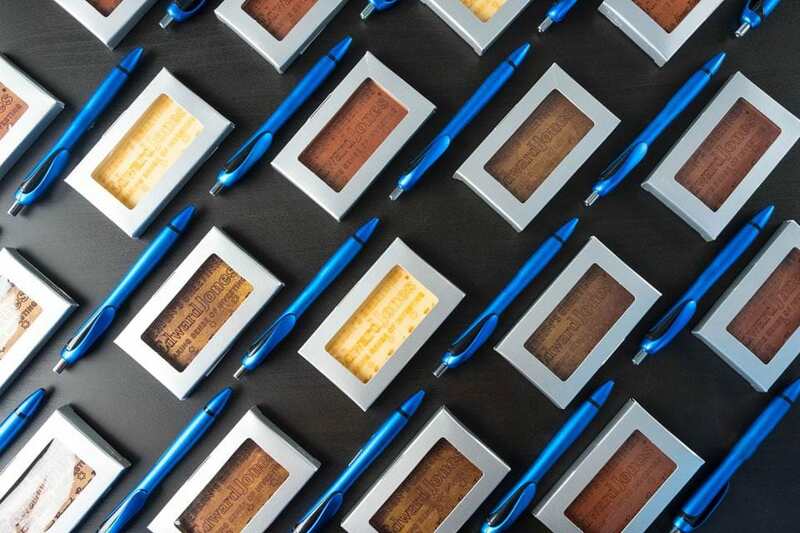 Have a custom engraved gift box of 20 delivered to your favorite office for the holidays. Give one to show a little extra appreciation on sales calls. Make your special promotions, company meetings and events a little sweeter. The custom-engraved gift box includes (20) 1 oz. bars individually packaged in a silver window box with a spot for your business card on the back. Quantities above 20 available, just contact us. "When we want to say thank you, it’s important that the gift is targeted to the specific client/customer. Combining chocolate and personalized notes is pure genius! We don’t have to debate gift ideas anymore... a quick email to Noteworthy, and we’re done." "I cannot say enough good things about Noteworthy Chocolates. Our firm hired them to send out for the holidays several personally inscribed chocolate gift boxes, as appreciation gifts to several of our vendors. The gift packages were beautifully done and were a big hit. 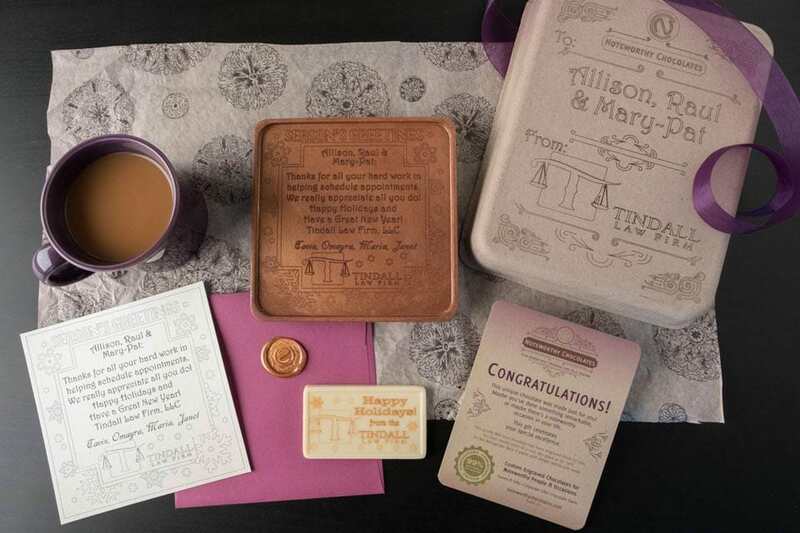 The recipients of our gift gushed about how much they loved the package and how much it meant to them to have this personalized message inscribed on the chocolate." 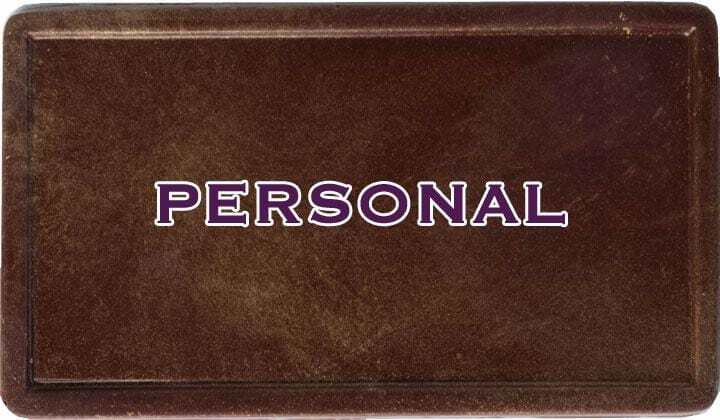 Custom engraved Notes, Cards, Letters and Certificates offer the most personalized gift experience for your valued clients, outstanding employees and service providers. With the ability to send a single, unique chocolate, you can write a thank you note or even a holiday card with the assurance that it will be read, enjoyed, and remembered! Each gift box is custom engraved and contains the personalized chocolate, a keepsake paper copy, and an extra bar for immediate enjoyment. Choose from 4, 7, or 9 ounces of premium Guittard chocolate. Our team can help you create the perfect custom gift package by adding Impressions or Medallions. Multiple gifts can be ordered with the ease of a spreadsheet. Our chocolate engraving experts can create a custom design for you, include a logo (yours or your client’s! ), provide one of our templates, or optimize your design for engraving into chocolate. Design fee may apply. No order is too small. 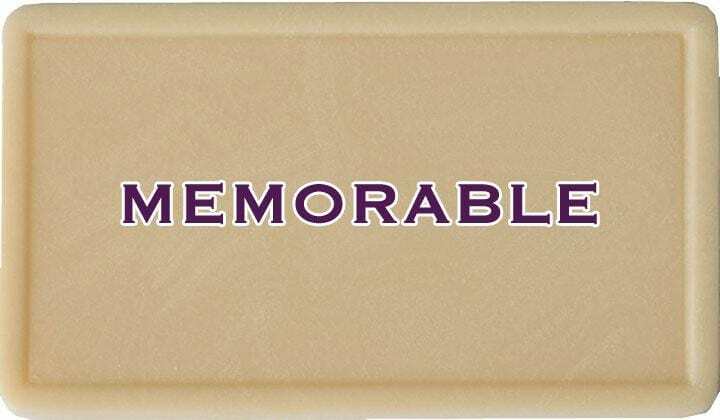 Depending on what you need, minimum orders can be as low as one unique engraved chocolate or several hundred for an event or party. Discounts begin at $500.00. All gifts are available in Smooth Milk, Golden Dark, and Classic White chocolate. Each Milk and Dark chocolate is hand dusted with edible shimmer dust to enhance the engraving and add that extra shiny touch that makes each chocolate unique. No mold fees and laser fast turnaround time. Sometimes production can be as fast as 3 business days. Direct delivery to your clients or event. Shipping chocolate can be tricky, but we know what works. Your gifts will arrive fresh, on time, and beautifully packaged. Holiday orders - Orders booked and paid for by November 9th receive a 5% discount. Ordering early will ensure we will be able to schedule the production time needed for your delivery date. We wouldn’t engrave your important message into just any old chocolate! 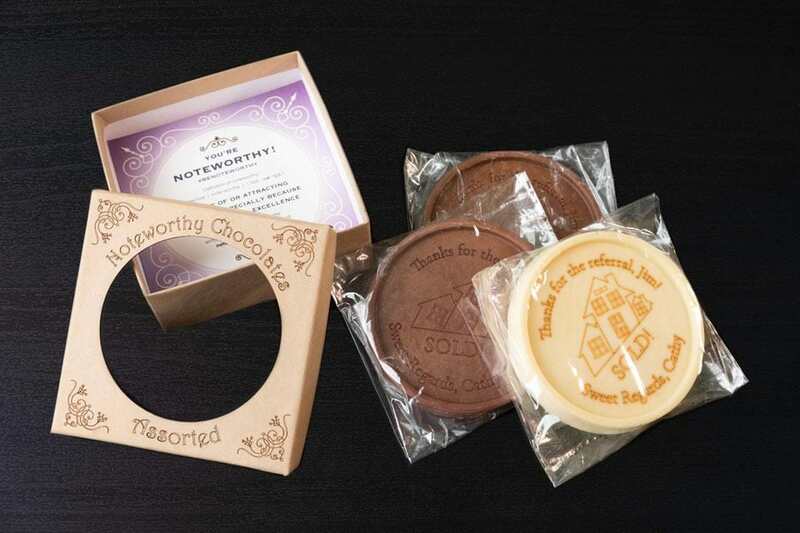 Noteworthy Chocolates uses Guittard Chocolate Company exclusively. Their world-class chocolate is known for being finely crafted, sustainably sourced, allergen-free, and exceptionally delicious. Every gift includes ingredient and allergen information so your noteworthy clients, employees, and colleagues have all the info they need to feel good about eating and sharing their delicious gift!